Beauty blogger JenLuvsReviews highlights Kokko's Shade2Shade foundation-matching technology in her weekly round-up of the latest makeup news. For all the convenience of the web, there are some things it just doesn’t make simpler. Choosing foundation is certainly one. Filmed at MinneAnalytics’ FARCON event on August 24, 2017. Kokko is part of a cohort of ten startup companies that were selected out of a pool of approximately 400 candidates in a highly competitive application process. Demo Day (April 27) at LAUNCH, a three-month startup accelerator run by the University of California-Berkeley Haas School of Business. "Kokko, a startup that helps people make color choices while shopping, won the Plug and Play Award." Kokko's Director of Makeup Artistry Meli Pennington shares her secrets for looking youthful with Dr. Oz. Beauty blogger JenLuvsReviews' weekly round-up of the latest news in beauty, including the Kokko Beauty app! "Women deserve to have a better solution. They deserve to have their questions answered. And make it easier to buy products." SUNTEGRITY'S “5 IN 1” TINTED SUNSCREEN AVAILABLE IN 4 VERSATILE SHADES! Our own Meli Pennington is profiled in an article about self-directed learning — how she became a top makeup artist, cultural blogger and now Kokko's Director of Makeup Artistry! "...you’ll wind up with one foundation that’s just right instead of six that are almost right." 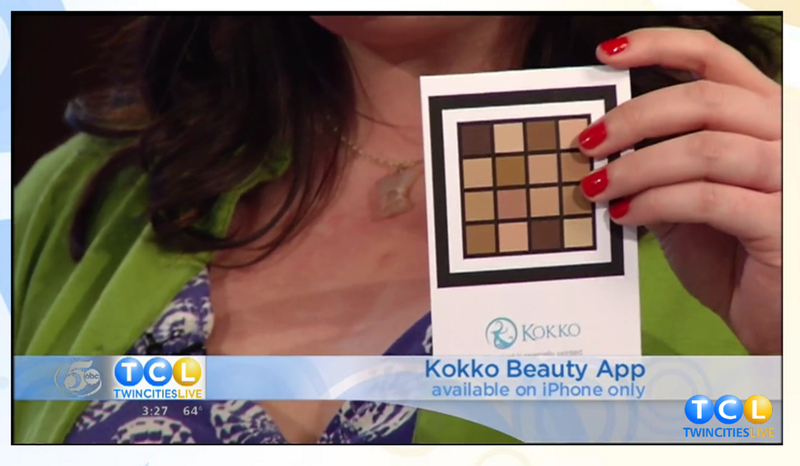 AUTHOR AUTUMN WHITEFIELD-MADRANO SHARES ONE OF HER FAVORITE BEAUTY FINDS, KOKKO BEAUTY, ON THE D&A SHOW. "[Kokko Beauty] is flawless. I've tried all of the foundations they recommended and they were all like my skin, but better." Hosts Jessica Matlin and Jennifer Goldstein interview author Autumn Whitefield-Madrano about her newest favorite beauty finds, including the Kokko Beauty app. Julia Curtis-Burnes interviews Kokko's Director of Makeup Artistry Meli Pennington, veteran NYC-based makeup artist, beauty writer and founder of the Wild Beauty blog. "Kokko is this fantastic new app that is really going to revolutionize the way that we all buy foundation, especially online." 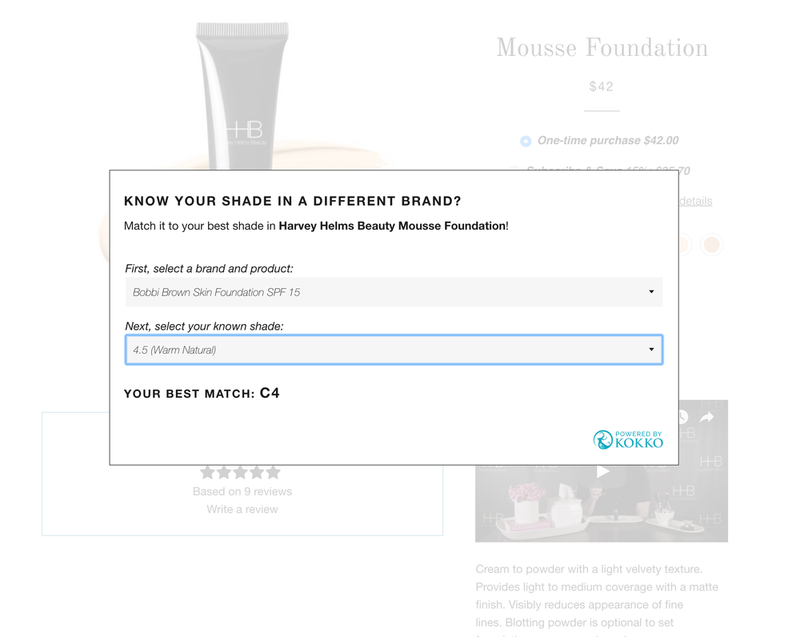 "Kokko's app and color chart are going to change the way we choose foundation and buy it, especially online ...the colors the app recommended were the exact shades I use." "Meli Pennington knows cosmetics. She has painted faces for the pages of Vogue and Glamour, the stages of Marc Jacobs and Victoria’s Secret, and the likes of Cyndi Lauper and Carrie Underwood..."
Women's Wear Daily: Beauty Inc.
"Nina Bhatti, who holds a PhD in computer science and toiled in science-y positions for a dozen years at Hewlett Packard, isn't the most obvious person to be discussing the annoyances of shopping for makeup..."